Backup Light with a stainless steel housing (#411SC) utilizes the standard 4 1 /4” clear lens held in place by a retainer ring. Part 411SC contains a #1156 bulb. 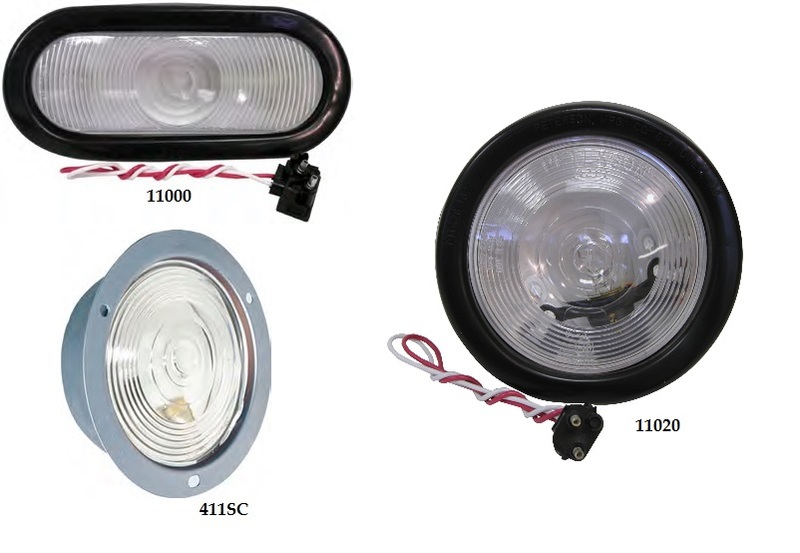 The sealed backup lights (#11000 & #11020) feature a clear Lexan lens and VIBAR socket. Sealed kits come with a plug and mounting grommet.